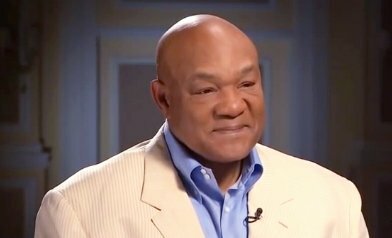 George Foreman, undeniably one of the most amazing prize fighters of all-time, celebrates his 65th birthday today. Having now been retired for well over fifteen years, Foreman has probably forgotten all about the rigours of heavyweight boxing, and is thinking only about his religious and business enterprises. But on this day of his birthday, this article asks the question: where exactly does the two-time heavyweight ruler rank in the history of heavyweight greats? Foreman, a freakishly strong (both mentally and physically) human being, proved himself against the best in both chapters of his astonishing career. In fact, George shocked us and defied all common logic many times in both of his careers. Back in the 1970s, Foreman was a terrifying brute of a fighter, a man capable of intimidating the very best. And if an opponent wasn’t scared, Foreman’s powerful fists and underrated ability at cutting off the ring got the job done. Joe Frazier, himself looked at as close to unbeatable at the time, was utterly destroyed by Foreman in 1973. Arriving as world champion with a massive bang, the Texan monster had enjoyed only the first of many big upset wins. As we know, Foreman’s first reign (just 2 retentions) was cut short by the remarkable talents of Muhammad Ali, who sensationally scored his own enormous upset in 1974 – taking Foreman’s crown with an 8th-round KO. That stoppage loss was the first and only time George failed to either win or go the distance in a fight. How much of an effect on Foreman’s all-time ranking does the African KO loss have? It took Foreman quite a while to rebound from the stunning loss, but when he did come back, he gave us yet more great fights and got himself some good wins. Ron Lyle eventually fell for good in an up-and-down thriller in ’76, and then Frazier was stopped for a second time after that win. Then, as we know Foreman fell foul of the tricky Jimmy Young; losing a 12-round decision. How badly does this loss affect Foreman’s place in history? It’s probably fair to say, that if Foreman hadn’t come back for career mark-two, his place in history would not be all that special. Sure, the wins over Frazier and Lyle, as well as the victories over Ken Norton and George Chuvalo, deserve respect; but Foreman’s first reign was too short and his time at the top was too brief for him to be placed alongside guys like Ali, Joe Louis, Rocky Marciano and Jack Dempsey. However, Foreman had a whole lot more fight left in him in 1977; it just took him until 1987 to realise it. What Foreman did in his second career was undeniably very special. Forever changing the sport of boxing in terms of the age aspect of the game, George, as he set out to do, proved that “the age of 40 is not a death sentence.” (And, as amazing as it may seem, George has now joined the millions of senior citizens he once fought for!) The fact that Foreman was good enough (and tough enough) to go the distance with the unbeaten Evander Holyfield in what was his first attempt at regaining the crown “The Greatest” took from him all those years earlier, is amazing enough. The fact that Foreman eventually grabbed the title back from “The Real Deal’s” conqueror and successor Michael Moorer is even more so. That beautiful November day in 1994, in that unforgettable 10th-round, Foreman, at the age of 45 years and ten months, did the unthinkable. Now a two-time heavyweight king and a hero to millions around the globe, the former street mugger had done something that may well never be repeated. Indeed, will Foreman’s two records – one, of being the oldest to regain the heavyweight title, two, of having the longest length of time between reigns (20 long years!) – ever be broken? And how do Foreman’s logic-defying and age-defying achievements affect his all-time ranking? In my opinion, what Foreman did at age 45 and beyond (remember, George, at age 48, was able to all but defeat a talented 20-something in the form of future titlist Shannon Briggs; being robbed of his deserved points win) move him up in the list of top-ranked heavyweights. Quite simply, George did something no other heavyweight has ever been able to do. No-one – not even Ali, Louis, Marciano, Dempsey or any other heavyweight champion you care to name – was able to come back at the age of 45 and beat the current ruler. But George did it, and as such he deserves a unique place in heavyweight history. Add up all of the “young” Foreman’s achievements, and put them with the “old” George’s achievements, and you can see he is definitely deserving of a top-ten of all-time rating. But how highly in the all-time top-dozen should “Big” George be placed?